When it comes to crafting a content marketing strategy, people often focus on the diversity of the content and the freshness of ideas. While these things are definitely beneficial for any business, they aren’t the only ones you need to pay attention to. We know that content is important – however, not every content is able to do your business good. In fact, the internet is filled with the content of all kinds and you need to work hard to stand out among the others. Often this means that you have to make your content as good and polished as you can. The first is up to you, the second is often the result of thorough proofreading. And while you surely can achieve this without the help of proofreading tools, they could ease your job a lot as well as quicken the whole process greatly. Moreover, such tools can truly save you when you don’t have much time left to proofread. While I still strongly recommend combining them with manual proofreading, even using only them is better than skipping the proofreading part at all. And if you do proofread manually, still consider using them as they can offer you some interesting suggestions and synonyms as well as spot the errors you weren’t able to detect yourself. So here’s the list of 7 best proofreading tools you should consider using in your work. 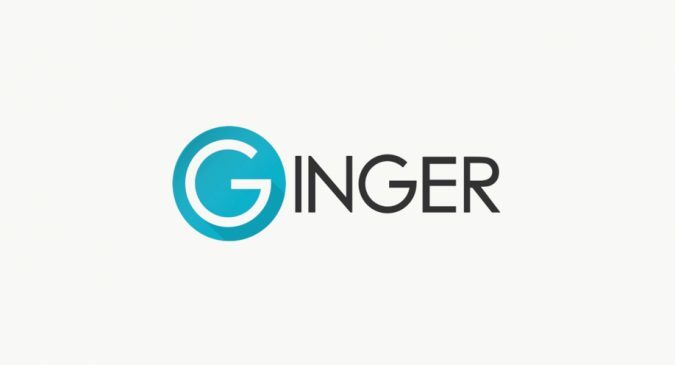 Ginger is designed to help writers write not only better but faster as well – that’s why it could be a good option for those who don’t have much time to spend on proofreading but still want to maximize the result. 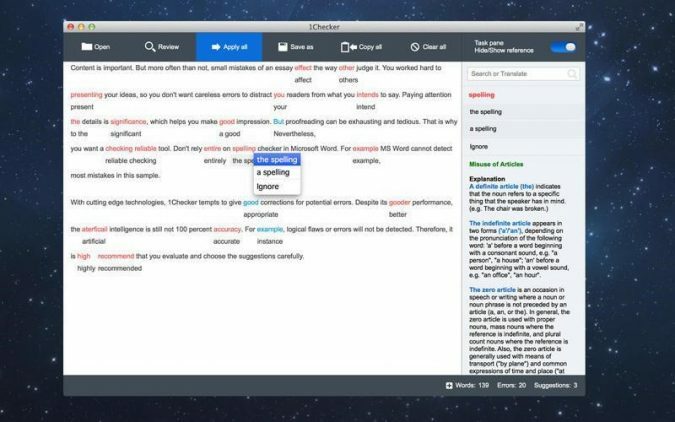 Ginger offers real-time corrections, helps translate texts, and pick synonyms. It also can read your texts out loud, which could be a great option for those who have some extra time to spend on polishing. Reading the texts is one of the most effective proofreading strategies. When you – or Ginger tool – do so, you spot all the flaws easier as well as spot sentences that could be shortened. So if you have some time, don’t miss the opportunity to run a text reader option. Grammarlookup is an advanced free online grammar checker, it uses artificial intelligence to check your writing for grammar and punctuation mistakes, It also suggests difference styles to add to your writing. Simply paste the bunch of text and click the lookup button, issues will be highlighted, hover your mouse on each to choose from the number of corrections. It’s really the best free grammar checker. Of course, checking your content for grammar and punctuation mistakes is important – however, checking it for plagiarism is just as important. Not all content marketers actually do so, and that’s understandable: when you’re writing content on your own, you know for sure that you didn’t plagiarize it. However, that’s not how it works for search engines. Sometimes they consider quotes as plagiarism. Sometimes they consider a writing plagiarized because it resembles someone else’s. So it’s always better to ensure that your content is indeed 100 percent original. Paper Rater is a tool that can help you with that. It checks writing for a plagiarism as well as conducts basic proofreading – so this way you kill two birds with one stone. Grammarly is one of the smartest proofreading tools out there. Just like many others, it efficiently spots punctuational, grammar, and spelling errors – but that’s not all of its virtues. 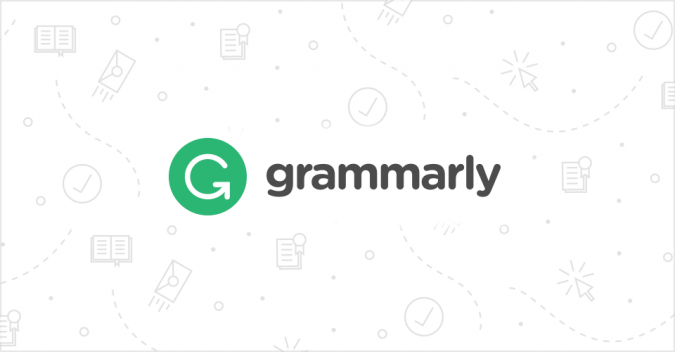 Grammarly actually analyzes the writing, offering style and word suggestions basing on the context, therefore making your writing simply impeccable. Of course, even Grammarly isn’t always right, just like any other online proofreading tool. You should always be mindful and double-check the suggestions. However, using Grammarly would still help you make the writing clearer and deliver the message to your audience more efficiently. One of the most powerful free proofreading tools that help you improve your articles by receiving an in-depth analysis of the content. 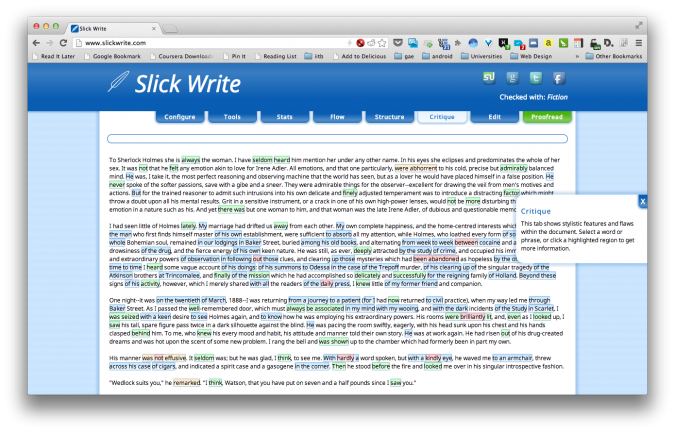 Slick Write spots grammar and spelling errors quickly – but it also has two amazing features. One of them is the statistics that allows putting numbers in your write-up. The other is called flow. It offers you some valuable tips on how to make your articles even more easier to read. Slick Write also has a diverges vocabulary and can be accessed from mobile devices – which is a great perk for those, who work from tablets or do the proofreading via smartphones. If you like plain interfaces that are easy to understand and that don’t distract you from the proofreading process, Grammar Checker tool is a great option for you. Using it is as easy as it can be: you input your writing and it shows you all the errors it was able to spot. By clicking on these errors, you not only will be able to fix them but also will find some helpful tips on how to do it better and how to avoid them in the future. 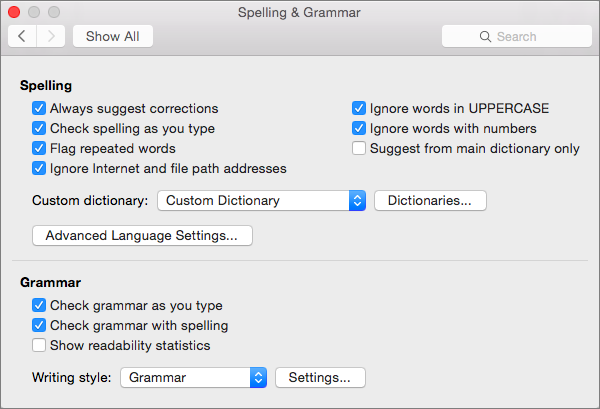 Another great thing about a Grammar Checker tool is that it has a blog, where some useful tips and advice are published. 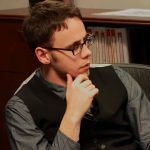 Check out this blog if you’re looking for the ways to improve your writing skills. 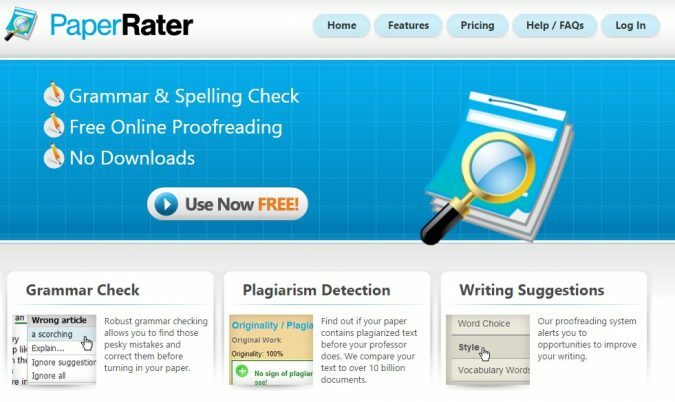 Another great proofreading tool that spots the errors effectively and helps you to improve your writing in general. It is named after Ernest Hemingway, an author, who was famous for his compelling and very brief style. This name is chosen for a reason – one of the best things about Hemingway App is that it highlights the sentences that are either too long or too complex to understand. By paying attention to the tool’s suggestions and making edits you’ll be able to improve the quality of your content almost instantly. 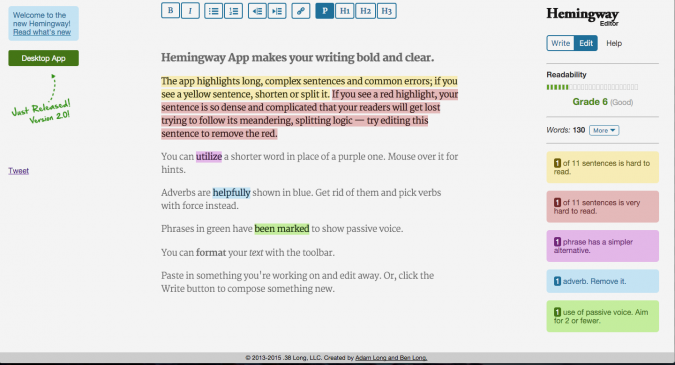 Moreover, all the suggestions and corrections made by Hemingway App are color-coded, basing on the types of errors, be it grammatical ones or stylistic ones. This makes it easier to spot the most important errors quicker – as well as to understand which area you have the most troubles with. So if you wanted to improve your writing for a long time but didn’t know what to focus on, use the Hemingway App to clear everything for you even if a bit. The best thing about 1checker tool is that it doesn’t simply proofread your content – it also helps improve its readability by giving you various tips on how to improve your style. You need to register before you can use this tool, but you won’t need to pay anything. Just like I’ve already mentioned at the beginning of this article, using proofreading tool is a great way to instantly improve your writing without even investing much time into it. You could even make a list of tools you plan on using when you’ll be creating your content strategy – this way you’ll be prepared to future writing even better. However, if you do have an opportunity to proofread your writing manually, you should do so – preferably after you run the content through the proofreading tools of your choice. These tools do spot mistakes effectively enough – but they are still machines, unable to analyze the writing as effectively as humans can. They spot grammar and stylistic flaws but they wouldn’t be able to notice from the context whether you’ve chosen the right word or not (Grammarly is an exception but it still isn’t 100% effective). They also won’t be able to spot logical flaws, which often affect the writing the most. So the best thing you can do with your writing is to invest enough time into it and to finish it as early as possible, so you’ll have plenty of time to spend on thorough proofreading.